Spinal deformities endanger the lives of thousands of children across the world — especially in underprivileged communities. At Global Spine Outreach (GSO), we’re dedicated to performing effective spinal surgeries to improve the lives of these children, free of charge. Continue reading to learn more about our pediatric healthcare nonprofit and how you can support our organization today. 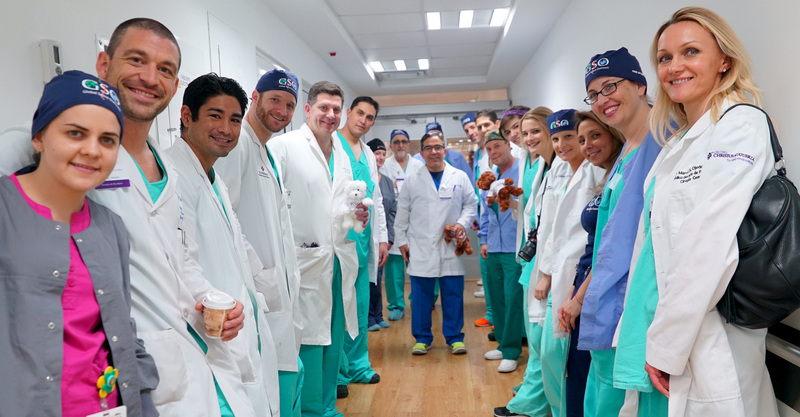 Our volunteers consist of medical professionals, physicians, and educators who travel across the globe to perform vital spinal surgeries. They also engage in other medical volunteer work to train, educate, and empower local surgeons within their own communities. The surgeries we perform to treat and correct the spinal deformities in children are 100% free, taking the financial burden off of many families. If you’re interested in becoming a Global Spine Outreach volunteer or making a donation, contact us today.